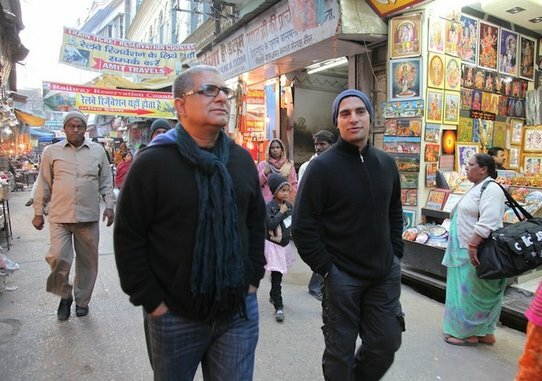 Gotham Chopra, the son of Deepak Chopra, spent a year following his father around the world in order to create his first documentary, Decoding Deepak. The film focuses on the strain put on this father-son relationship as Gotham attempts to rectify the two conflicting sides he sees in his father (the icon versus the real man). Filmed under the guise of being a project about Deepak’s initiation as an honorary Buddhist monk in Thailand, the film is really Gotham’s attempt to expose the flawed, human side of this international holy man who he sees every day. The short, seventy-three minute long documentary is narrated from start to finish by Gotham, who tends to unnecessarily beat the viewer over the head with the contradictions or lessons gleaned from the footage. Most of the explanations included in the voice-over could have easily conveyed simply by watching the footage. Deepak’s flaws and limitations are just as apparent as his captivating, mystical aphorisms that are strewn throughout the film. Gotham’s monologue narration tends to wax poetic, delving into clichéd musings and rhetorical questions that always loop around to his personal problems with his father. At times, the documentary becomes difficult to watch, feeling more like the attempt of a child with a grudge to expose or embarrass his father in front of the cameras rather than a hard-hitting documentary attempting to decipher the enigmatic, self-built persona of Deepak. Gotham clearly has a complicated relationship with his father, and as you get to know Deepak and follow him through the film, it quickly becomes clear why. Deepak spouts endless, interesting observations about the transience of life, the oneness of all being, and the nonexistence of the self. But at the same time, this is a man who loves shopping, whose eyes are constantly glued to his blackberry, and who is addicted to Starbucks. He also has a penchant for telling Gotham exactly how his film should be made, shot for shot, even narrating the entire ending of the film in advance. It is infuriating to attempt to rationalize these two starkly opposing sides of a man renowned for his spirituality. His intense level of celebrity and the devotion of his fans only further complicates matters. Though an interesting premise loaded with possibility, Decoding Deepak fails to deliver, often becoming bogged down with over intellectualization when the footage would be better off if it were allowed to just speak for itself. As a result, the film feels amateurish and leaves a lot to be desired as a documentary on one of the world’s biggest spiritual icons.